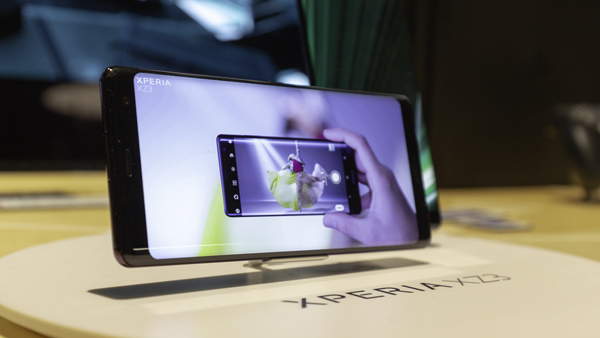 Sony’s amazing new Xperia XZ3 phone was unveiled at IFA 2018 earlier this year. We travelled over to Berlin to see it in the flesh, and boy did it impress. With top specs, a massive screen and a beautiful design to match, this is one seriously super smartphone that’s worth checking out. Here’s what we’ve made of it so far. Lay eyes on the Sony Xperia XZ3 and the first thing you’ll notice is how smooth and shiny it is. Everything about Sony’s new phone screams premium, and its seamless and gently curved design makes it a joy to hold in your hand. It’s also slimmer than you might think. And then there’s that OLED screen, which is where things get exciting. It’s a 6-inch OLED screen with HDR, and it uses the same award-winning technology as seen in Sony’s BRAVIA TV range. Naturally the picture quality is superb. It’s super sharp, and the colours are amazing –perfect for watching movies on. You’ve also got Sony’s Dynamic Vibration System built into the device. It analyses what you’re watching and vibrates in time, so you can literally feel what’s going on. This makes for a much more involved movie-watching and gaming experience. Photography is another headline feature here. A 19MP rear camera and 13MP front camera do the honours. Sony is particularly proud of that 13MP ‘selfie’ camera that takes advantage of a bunch of bokeh and beauty effects. If you love to take selfies, the XZ3 will do you proud - your portraits will have that blurred background look you’ve always wanted. There’s also the Smart launch feature that instantly prepares your camera when you hold your phone in landscape mode – so you’re less likely to miss a special moment because you’re faffing about. You can also record video in outstanding 4K HDR for incredible detail and bright colours that really stand out. To power all the above, Sony has put a Snapdragon 845 processor inside the Xperia XZ3 – which is fast enough to deliver smooth performance no matter how many apps you’ve got open. 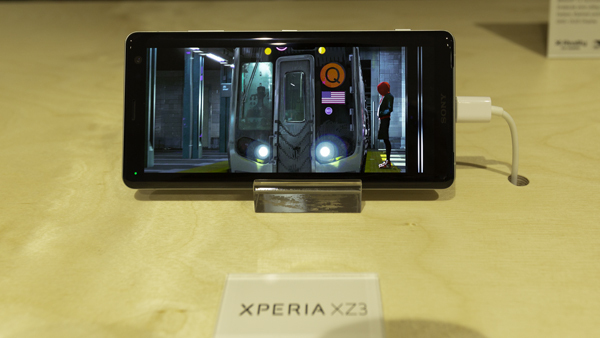 The Xperia XZ3 also has a 3330mAH battery that lasts all day, so you can watch movies and play games to your heart’s content, without having to worry about recharging. 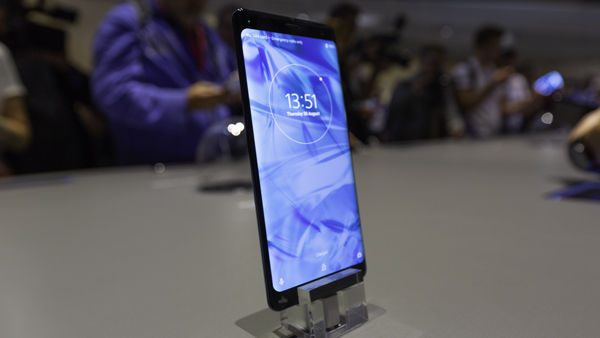 Inside, there’s 64GB of storage, but if you want more just insert a microSD card for up to 512 GB – a fair whack if you love to download movies to your phone for anytime viewing. The Sony Xperia XZ3 is a phone that has everything you could want. Meaty specs, a gorgeous design, super photo skills and a brilliant big screen to watch movies on. The Dynamic Vibration system adds a little fun, too. If you like the sound of that, you can pick up at Carphone Warehouse in a choice of colours.